Access to the Ohio K12 Help Poral requires the secure link for your district or school. Please read the information below before contacting your technology coordinator or superintendent to request access for a specific purpose. If an IRN name appears above, then you are logged into the Ohio K12 Help Portal as that district or school. Attempts to login with an email address are logged as a potential security violation. Help desks and resources on the portal are available to all Ohio districts and schools. The help desk support team will determine your district or school based on your history of requests. Please use the appropriate web form when you need help or have questions about a particular program. Portal secure access by districts and schools requires a secure link. Messages sent to the IRN superintendent or technology coordinator may include a secure link for a specific purpose. Secure links are not sent to a person who is not the current superintendent or technology coordinator at your IRN. If you have a purpose, please contact that person at your district or school for secure access. Portal administrators and support team members are the only individuals with username accounts on the Ohio K12 Help Portal. If you are not a portal administrator team or a member on a support team, you do not have a username and password. Please do not request a password reset. 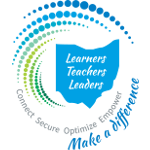 The Management Council of the OECN operates this portal as a benefit of all Ohio districts and schools in collaboration with the Ohio Department of Education. The portal administration and program support teams are employees of the Management Council.